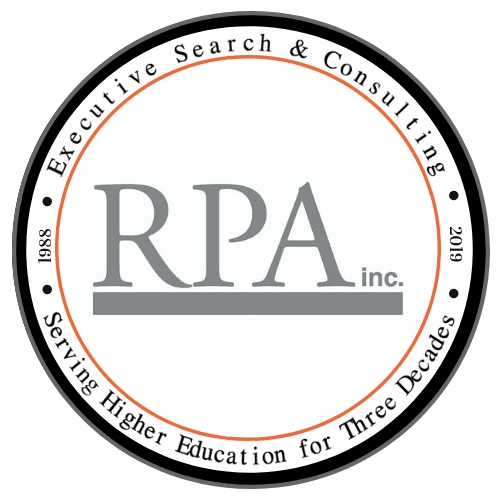 Comprehensive Search – RPA Inc. In selecting a key administrator, you are shaping your institution for years to come. RPA Inc. is uniquely qualified to help you identify, cultivate, and hire your next leader. We research your organization and perform an on-site position assessment, conducting data gathering sessions with key constituent individuals and groups. We assist you in developing a compelling position announcement and suggest placement of the advertisement in print and electronic media to achieve the highest level of exposure to qualified candidates. We assist your search committee at every step of the process, assuring that committee members have the information and the procedures they need to make fully informed recommendations. Our highly skilled recruitment team identifies targeted individuals from our proprietary database of professionals to announce the search to targeted individuals and network for your search. Our multi-tiered series of interview techniques includes one-on-one contact very early in the process. We maintain strict confidentiality, assuring that even individuals who are not actively seeking new employment feel comfortable exploring your opportunity. Our aggressive search schedule assures that you move from initiating search efforts to on-site interviews in a judicious but efficient process that usually takes 16 weeks or less. Because we move expeditiously, you seldom lose good candidates to competing opportunities, and your search committee remains interested and enthusiastic. We continue to consult with you as you select your finalists, conduct on-site interviews, and negotiate with finalists. We stay with you until the search process is complete.